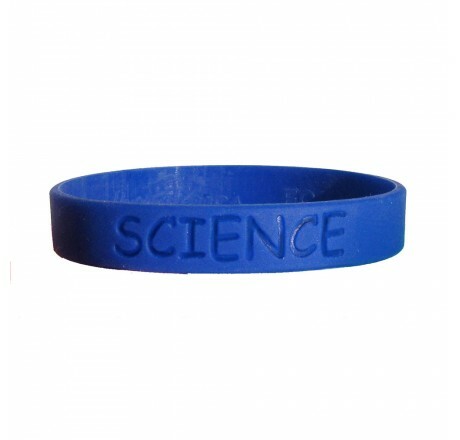 "Science" is embossed in the wristband. Made from 100% silicone. 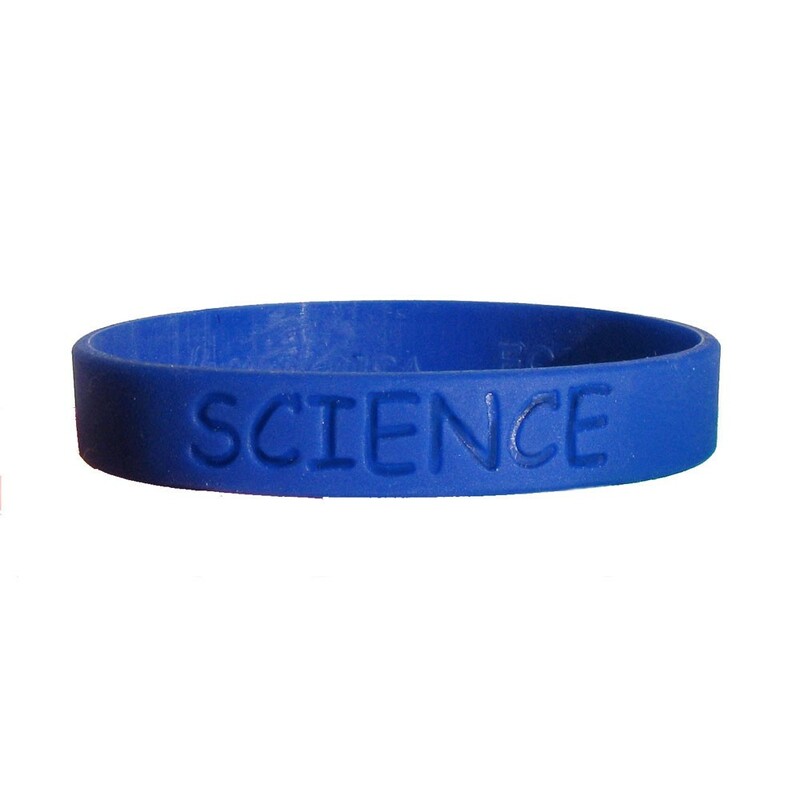 Silicone wristbands are latex free and child safe.